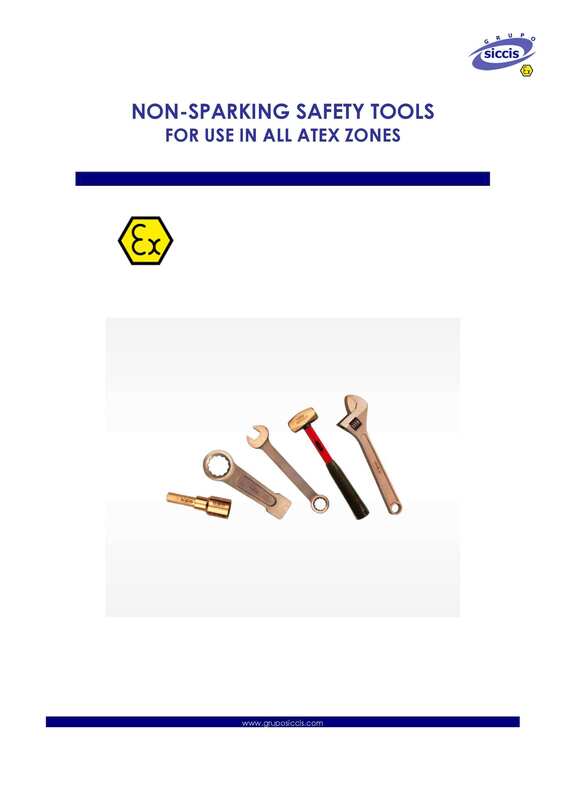 Consult our ATEX non-sparking tools catalog for environments with explosion risks. Our non-sparking tools can be used in 0-1-2-20-21-22 and M1-M2 zones. Beryllium Copper alloy tools comply with the European ATEX directive for use in 0, 1 and 2 zones (gas, steam) , 20, 21 and 22 zones (dust), as well as mining M1 and M2. Aluminum-Bronze tools comply with the European ATEX directive for use in 1 and 2 zones (gas, steam) and 21 and 22 zones (dust). About their hardness, Beryllium Copper tools have a rockwell C hardness between 33-45, while Aluminum-Bronze tools have a rockwell C hardness between 23-35.